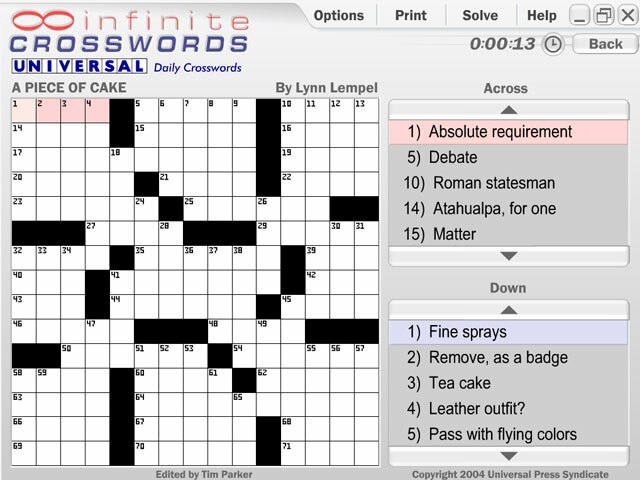 Solve over 100 outstanding crossword puzzles from major newspapers. 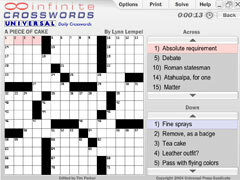 Choose from seven categories and multiple difficulty levels for the same puzzles. 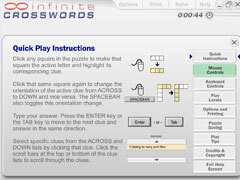 Print out puzzles or play on your PC. 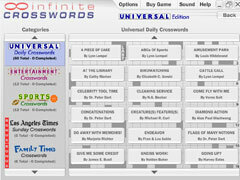 Enjoy big, legible text with full-screen display.